You are here: Home / Blog / Uncategorized / Here We Come 2015. Let Our Games Begin! Here We Come 2015. Let Our Games Begin! It’s just that. A tried and true, automatic mechanism running our show so we don’t have to. Well, today is the day to try on something new for a change. Stepping into the New Year and creating a NEW YOU, out loud and in community. Creating NEW habits that will support you in creating, manifesting and living a life you LOVE. It’s not always easy to create new habits, but it certainly is WORTH it! The doors are open to join us and create Your Grandest Visions & Wildest Dreams for 2015, inside of the V.I.B.E. Sacred Circle here at Raised Vibration. You can find out more about it HERE. Cheers to 2015, a.k.a. Your Best Year Yet! 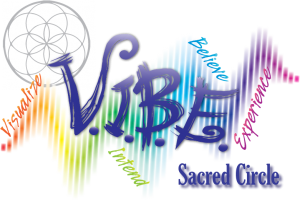 http://raisedvibration.com/wp-content/uploads/2017/04/raised-vibration-logo-v2.png 0 0 theRVteam http://raisedvibration.com/wp-content/uploads/2017/04/raised-vibration-logo-v2.png theRVteam2015-01-02 11:22:062015-01-02 11:22:06Here We Come 2015. Let Our Games Begin! Life is Full of Adventures. Let’s Share One! 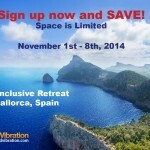 Why is the Earth’s Vibrational Frequency Accelerating?